Where do we turn to when we are looking for beautiful crafted replica handbags? PurseValley is one of the most complex websites I have seen so far. It manages to blend perfectly its numerous banners, menus and interactive features without looking too over-crowded. You can tell that the whole design is thoroughly planned and organized by true professionals. I usually do not like websites that are stuffed with countless banners and promotional incentives, but this one is so nicely done that I simply cannot find any flaws in its design. The main menu is on the top of the page and it includes four large categories: Handbags, Watches, Shoes and Jewelry. Each one of these four tabs unveils a sub-menu of available brands. For the Bags there is a considerable list of famous names that vary from the trendy Mulberry designs up to the high end and exclusive Hermes purses. Without a doubt, the merchant has included on his site only the most popular brands in the world. The collection is neither exaggeratedly wide nor poor. It has enough to make you wanna’ start some serious purse shopping. As I was saying before, everything is neatly organized including the products. The brands are divided into sub-categories which bear the same name as the original collections. This allows us to find the desired handbags a lot easier and faster. For example, for Louis Vuitton we can choose from the following collections: Monogram, Damier Ebene, Damier Azur, Epi Leather, Mahina and many others. Additionally, on the left side there is an Advanced Search bar that helps us filter the purses by color, material, gender, shape cut, type, size and price. We basically have all the right tools to find the perfect bag in no time! There are items such as the wallets, phones and Ipads cases that cost less than $100, but the bags usually range between $150 and $500. The price depends very much on the type of fabric, the size and design of the bag. There are some luggage items that cost about $450-$700. These are more expensive because of their considerable sizes, craftsmanship work and hardware details. Here, at PurseValley.cn, you will find both affordable products perfect for everyday wear as well as lavishing designs that cost a little bit over the market’s average price, but considering the quality and finesse of these designs it is totally worth it. Just as everything else ‘till now, the product’s description page is also carefully planned and written. 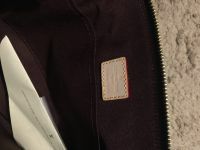 It starts with a unique description of each product and it continues by listing very thoroughly all the details, features, fabrics, logos and hardware particularity. The size, gender and included papers are also mentioned. What I find very interesting and useful is the fact that in the very bottom of the page there is a “Product Questions” section where any website visitors can write a question and it will be answered by the staff. The accepted payment methods are Western Union, credit card, Bank Wire and Web Money. It seems that every type of payment supported by this company comes with a discount or fee. More precisely, for credit card payments there is a 2.9% processing fee that will be added to the order total, for Web Money there is a 10% discount while for Western Union and Bank Wire there is a 20% discount. I like the fact that it presents all the advantages and disadvantages of each payment option it provides. As mentioned earlier, the Payment page says that it can process card payments, but it doesn’t inform us which credit card companies are supported. Only after Checking Out of the Shopping Cart we see that the two available card options are Visa and JCB. Additionally, on the same Payment page the merchant claims to accept WebMony payments, but this options isn’t included in the Order Form under Payment Information. These small errors should be reviewed and corrected as they tend to mislead potential customers. PurseValley sends orders only with international express carriers and all packages are assigned a tracking number. This tracking number helps both the customer and the company trace the package and follow its shipping progress as well as confirm the delivery. It takes up to 5 days to prepare an order for shipping and the actual delivery takes about 7-15 days. The delivery isn’t free and the costs depend on the delivery country and on the items included in your order. These shipping costs are automatically calculated by the website upon Check Out. If you are not happy with the merchandise then you have the option of contacting Customer Service within 14 days to arrange sending the items back before the first 30 days of receipt are up. You will be entitled to a refund or exchange according to your needs and wishes. Furthermore, the customer can choose the type of method he prefers to be used for issuing the refund, and the available options are: Western Union, Bank Transfer and Credit Card. The downside of the return policy is that all returned products are charged a $30 restocking fee and all shipping costs are the customer’s responsibility. I do not find these fees as being fair for the customer especially when the reason for returning an item is not being happy with the quality or a manufacturing defect. The website clearly states that all returns are subject to these fees. The product pictures are very beautiful, clear and explicit. There are at least ten images for each item and every single one of them shows a very specific and important detail of that bag. Clearly, the photographs are property of PurseValley.cn as these are fully covered by the company’s watermark. There is no way of editing them in the hope that maybe one can use them on a different website. The company provides customer service by email, phone and live chat from 8:00- Midnight EST, Monday to Friday. I have contacted the Customer Care department by chat to inquire about the repairs warranty and I was attended by a very polite operator who informed me that they do not do repairs. They replace all the products within the first 6 months. I was pleasantly impressed by both the customer services and by the replacement warranty. PurseValley.cn is in all ways a professional and reliable supplier of replica handbags. Its website is nicely designed and incredibly easy to use, there are numerous payment methods, the shipping and return policies are oriented towards providing customer satisfaction, and last, but not least, its product pictures and customer services are excellent. 1. Pursevalleyvip.cn or pursevalleyfactory.ru. Are they the same? 2. Variety from pursevalleyvip.cn is amazing but some comments saying pursevalleyvip.cn is a scam. Any experience purchasing from them? 3. Original Togo leather (pricey with doubled price as clemence) vs Togo leather vs Clemence leather? Which leather would you recommend? 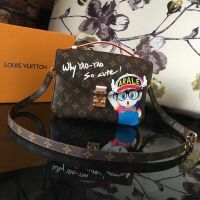 Hey Felicita, I don’t think they are the same because they have different product pictures, price varies quite a bit and pursevalleyfactory.ru offers chat support, while Pursevalleyvip.cn has only gmail account inbox for customer service. I don’t have any experience with neither of these stores. I like the look of pursevalleyfactory.ru more than Pursevalleyvip.cn, but this is just personal preference. 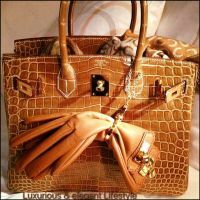 pursevalleyfactory.ru has clear return policy and offers full refund. Pursevalleyvip.cn return policy is too strict (only 2 days to return the product) and no mention of refund conditions. I really don’t know what to say about Togo leather vs Clemence leather. 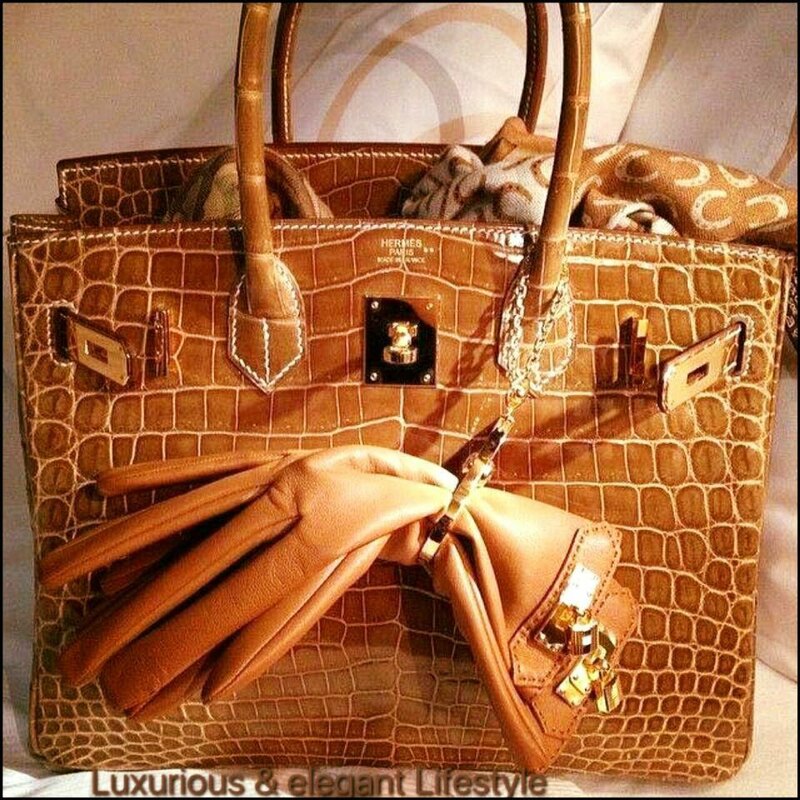 These Hermes bags price tag is ~$850 on .ru store, this is way above anything I would ever want to pay for a knockoff. Which one is a legit? Pursevalley.ru or the pursevalleyfactory.ru? Hey Anne, Both of them are copies of good old purse valley store. Hi, what’s the web name of bags vista? Have you looked at purse valley factory? Is it like the original purse valley? I run into your site suddenly searching for nice replica bags. On past years comments you’ve made if I press purse valley it leads me to this link bagsvista.to. Do you know this link? Have you ever used this site? Has anyone else. I also read someone was recommending this site jbags.cn for replicas among other sites. Has anyone shopped from this site? Have you Hanna? 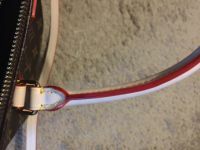 I want to buy lv speedy 30 and Gucci Dionysus. Really I don’t know where to buy from. Can you please recommend something to me to Hanna? I’m lucky I ran into you cause I’ve learned so much. Hey Alex, jbags.cn hurt my eyes a bit when I brows it. Very unorthodox design! Product pictures look very good. They are big and high definition, so you can really see all the details of the bags. Return conditions are a bit harsh: restocking fee, 3 days to decide about return and no refund if plastic was removed from handle or chain. But overall it looks like a serious seller. Link from comment leads to site that I can recommend without any reservation. When purse valley wasn’t closed, it was my go to store, so each time customers asked me for a recommendation I suggested pursevalley. Now purse valley is closed and I have found another favorite store – bags vista. It was just easier for me to change all the links at once instead of painstakingly browse through all the old links and change them one by one. Hey Alex, jbags.cn hurt my eyes a bit when I browse it. Very unorthodox design! Product pictures look very good. They are big and high definition, so you can really see all the details of the bags. Return conditions are a bit harsh: restocking fee, 3 days to decide about return and no refund if plastic was removed from handle or chain. But overall it looks like a serious seller. has anyone used Pursevalley.ru before is it the same as the old pursevalley.cn ? Hey Mariam, The site looks like old purse valley, but product pictures look different. Also checkout page is not the same. I don’t think it’s same company. Mariam, did you end up buying from Pursevalley.ru? If so, how was your experience? Can you please provide the new site for Purse Valley, Ready7a and Bess7a? All have been shut down. Bess 7a was working last week. In the meantime, can you recommend a site similar to Purse Valley/Ready7a that has good products? Thank you!! hi, i buy this site and realy like. Ready7a has been taken down. Can you please help me and give me some good websites with good Hermes replicas? I need the bag from the pic. Thank you. I have bought from Purse Valley several times in the past and I was always very happy with my items. Once I bought a bag on my credit card and I received the bag with no problems, but my card was not charged. They screwed up in my favor! I still feel happy every time I think about it, lol! I just made my first purchase from ready7a.com . 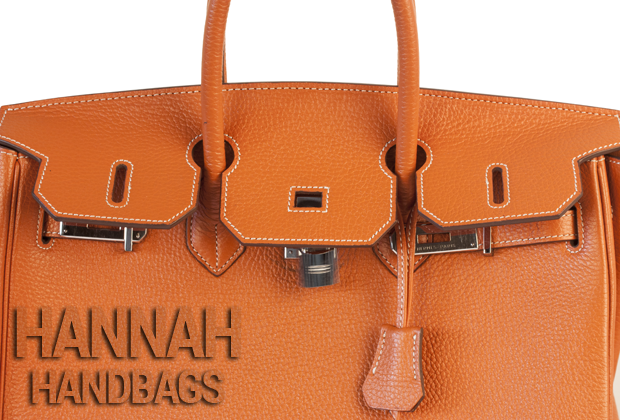 (I think it might be the new site by pursevalley) i just bought the hermes orange birkin 35 so will let you guys know what happens! Seems like alot of people are already ordering from them. They list all the purchases made by customers on their home page. As soon as my payment went through with PayPal, my order number popped up on their home page. ((Order#12094)) . Along with other peoples order. I tried to order last week but couldnt get through with paypal as error message kept popping up. But it finally let me today.. i feel like it might be pursevalley just starting to set everything up. Hopefully things go well. Will keep everyone updated! :) they only accept paypal as method as of right now unlike some of the other website asking for western union. Hi, Hannah I have been purchasing from Pursevalley for years an d recently made a purchase and was told as soon as they get there warehouse situation straight they would send a tracking number. Have you any information? Hey Angela, Their site is offline and I couldn’t find their new domain (if there is any). I guess I need to look for a new store to buy my bags from. Hey! I found a new site that looks justttttt like pursevalley and this website opened in july 2017 right around when pursevalley closed. Could this be their website??? Ready7a.com ? Hannah, could you check this out and see what you think? Hey Anna, Yes, this site is very similar. They even accept paypal payments. I will buy a bag from this site soon to check out their bags quality. It wont let me get into the site unless I have a correct recommenders email address. What did you put in? What Happened to Pursevalley their site is down and I never got my item. No one is replying. They basically RIPPED ME OFF! Not sure of that site. 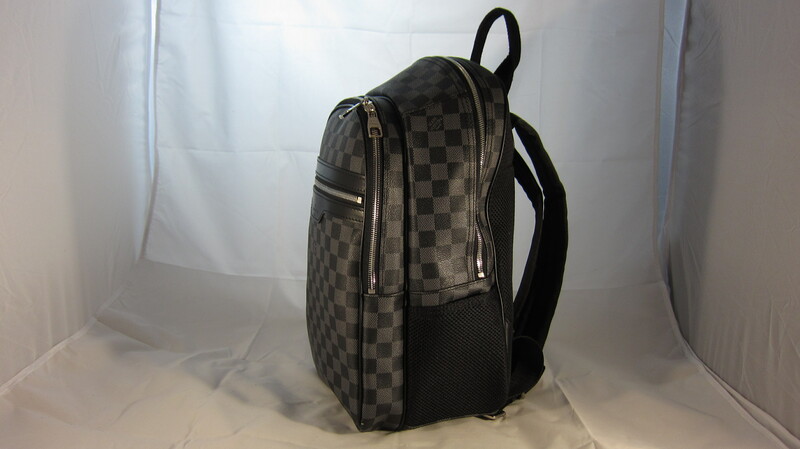 you can contact [email protected] for any brand replica bags/shoes/watches. you will get original mirror image quality. Hannah, thank you for the very informative site! I’m surprised I just stumbled upon it now?! Anyhow, I noticed that you did not review Designer Discreet?? Is there an reason why, or maybe I missed it? To me, they have the BEST(counter) quality, I have been able to find. I’ve wanted to try PV but they never seem to have the bag that I’m looking for ;-( They either have the wrong size or the lining is not accurate. I’ve also checked out the Poshmoda.co and it reroutes me to PV? Any other suggestions for sellers that sell “counter” quality?? Designer Discreet is pricey, but looking for another option as they don’t carry everything either. 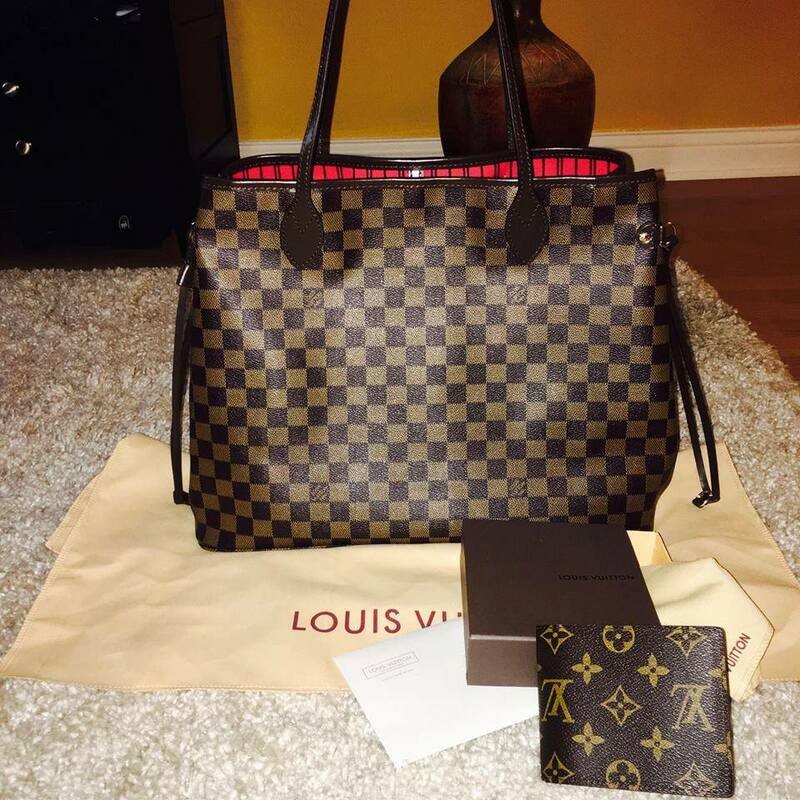 I ordered LV Turenne MM for my wife from pursevalley. Did wire transfer of about $260 including shipping. Received a wonderful bag within 10 days. I think this is the best replica anyone can get. My wife loved it and I couldn’t find anything on the bag that would indicate it’s a replica, ofcourse I have not examined an original this up close. Closest I have been to an original is in a showroom. And I don’t think people who are not in the business of spotting fakes or don’t have an original at hand to compare with will be able to say it’s a replica. Yes it’s that good. Hey Claire, itbag.online link you gave me is wrong. When I try to click to Hermes collection from itbag.online, it redirects me to iitbag.club, but this site doesn’t work. emmybag.cn site looks good, but its return policy page text appears on scores of other sites. I don’t know whether it’s copied from them or by them, anyway you should confirm return/refund conditions with their customer service if you decide to buy a bag from emmybag.cn site. After reading your web, I will order a black birkin from Purse valley, You gave me the final touch for my decision. Hi! Where can I buy a good, inexpensive hermes evelyne replica and a small balenciaga hip crossbody purse? Please let me know. Thank you! I ordered an LV bag on October 16 and still haven’t received anything. I keep seeing reviews that shipping was quick, but how long does it really take? Did you ever receive your bag? Looking into ordering from PV. I bought 2 bags in September and never received them. They refused to refund so I had to file a claim with my bank! Has PurseValley been taken down? Where can i buy a good birkin replica? 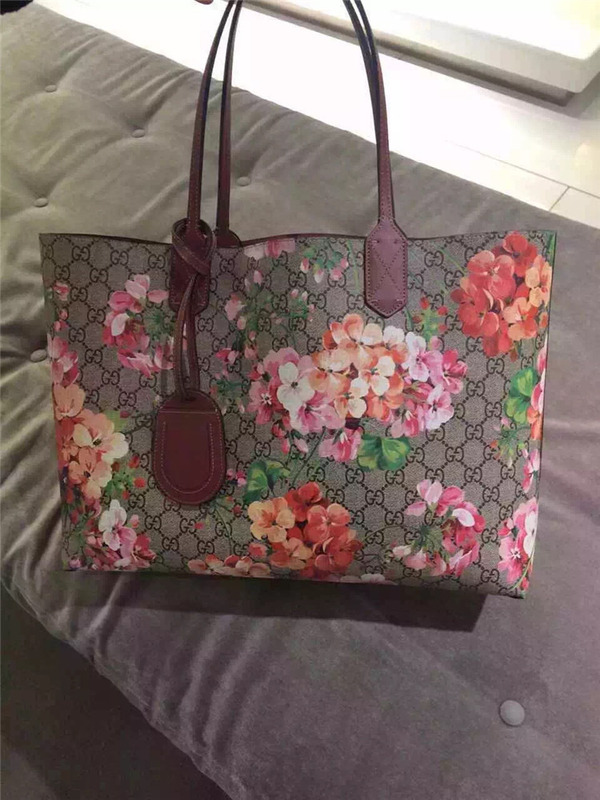 I bought a Gucci bag from PurseValley for my girlfriend and I am very happy about it. How did your bag turn out I’m thinking of ordering one. Hello… have you or anyone else tried abcluxury.co? They sell just LV. I ordered a Louis Vuitton Berkeley bag and they processed the order within a day and shipped it out the next. So 24 to 48 hours. im tracking it right now. I hope the quality is great, but im nervous because you never know what you’ll get. I order another from PV but its taking longer to ship out because i paid with WesternUnion. Can you please tell me how i can access Poshmoda? Because every time i try to go on the site, it is blocked so i am assuming maybe they have changed their name again? and if you know what their new name is? Hey Nosh, it looks like this site is gone. I couldn’t find their new domain. What do you think of the Goyard bags from purse valley as far as quality. Looking for a St. Louis. In fact girls each season to bag have a variety of needs, for example, spring is Mingyan color bag, design can give the feeling of spring, in short, every girl needs to bag is different, I like is small and cute, I in this website pursevalley.ru bought two times, one is last winter, one is last week, the quality of workmanship I is approved, the original is good, fine workmanship, a is a classic black, a is the orthodox red, I love. Hi Hannah, I tried to buy to PV (now in Italy is purseSvalley.cn but the template is the same you show in your post so I guess is the same website…) and I payed with PayPal. After a few days they told me that they received an issue from PayPal that won’t trasfer the money because “they are selling replica and not normal merchandising”, so they ask to refund the money to me (in two days I dind’t received anything yet but I could wait some more days). After that they told me to pay with WE so that they could manage my order very quickly. I received the email from Laura of customer service that seems to be very kind and prepared. Do you think it’s normal? I’m not worrie because I could ask PayPay to refund the money, but I really want to purchase the bag!!! Thank you for your reply! for all users contracting with PayPal under the User Agreement, clarify at section 13.6 that, if PayPal has reason to believe that returning an item that the buyer claims is SNAD to the Payment Recipient would result in a violation of applicable law, such as laws related to handling counterfeit items, PayPal may report the item to a competent authority. This may result in the authority taking control of and/or possession of the item from the buyer and the Payment Recipient might not receive the item back. If you decide to order from purseSvalley.cn, take my advice and pay with your credit card. DON’T pay with Western Union. Thank you Hannah! I’ll say to PayPal that the payment was not athorize, I hope to get my money back! 🙁 Where I could buy a good replica of Trevi and Birkin? In Italy I cannot acces to pursevalley.cn I found out hermessale.biz what do you think about it? But they don’t have a Trevi! Thanks again Ciao! Hey Robbie, hermessale.biz features great pictures and too good to be true return policy – 30 days period during which you can get full refund if you send the bag back. I have never ordered from them, so I can’t tell you for sure how good this site is. If you decide to order – pay with your card (I noticed that they do accept various credid cards). So I feel like i must leave a review on my experience with purse valley. I ordered a lv rivoli mm from the website, I read tons of reviews and was highly skeptical cause of the negative feedback but I took a chance normally this purse is $2500 I got it off the website for $235 if I remembered correctly. I choose the money gram option again I was hesitant to send anything just cause the fact the money could disappear with who ever got it. Now the out come of all this, was amazing I order on Feb 15th I received it by the 24th, they provided a tracking number I followed the order online through the whole process. Anytime I had a question the live chat was helpful during hours , when they were closed if I had a question the would email me back the next day promptly. The company is not so bad, youust remember what your ordering is considered a black market trade. You must be patient. My order went through customs so many time got held inspected and I was still happy and lucky to receive it. Overall I give it a 5 out of 5. The purse is dead on, you can’t even tell its a replica. Its truly amazing the detail the stitch work I examined everything and I approve. After extensive research looking back and fourth from the real to fake. No telling the difference. I like the company and will surely be doing business with them again. Hi, any recommendations on a good quality Lv artsy in navy. These websites have great pictures on salehotbag.com and salehotbag.co? 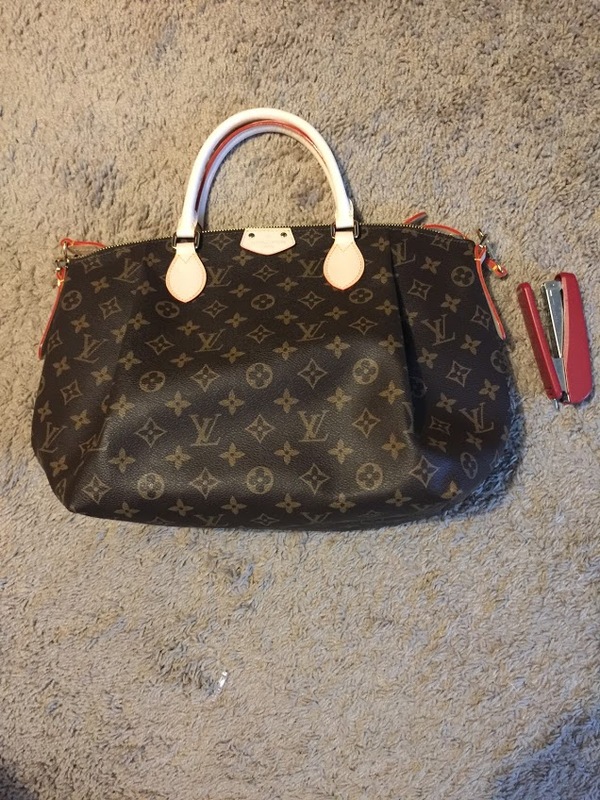 I am desperately looking for a mirror image Palm spring Louis Vuitton backpack, (mini) and unfortunately purse valley hasn’t advertised that they have it. Can you refer me to a site that would have this bag? Hi Cathy, I’m sorry, but other really good sites that I know also don’t offer this bag for sale. Where can I find a Givenchy Lucrezia medium replica for a cheap price ($100-200) or even a really close look-alike??? I just purchased a bag from PV and we will see how it goes. I’ve known about the site for a long time but have always been very nervous about purchasing from them (and am still a little nervous given some of my other past bad experiences with similar sites). I used a credit card for this first purchase and if I like the bag and the quality is what it should be then I will use a different payment method for future purchases to get an extra discount. I will post back along the way with updates about how this goes. Update on where things stand…so far everything has gone fabulously with PV! They called the day after I placed the order to confirm everything, and when I had a question they answered it without hesitation and clarified everything for me. I also sort of expected them to give me trouble because I had paid with a credit card or pressure to make me change to a different payment method, but they didn’t do that. I was very impressed. I received an email a couple hours after the order confirmation with more information, and shortly after got confirmation that my order had been shipped. I’ll post again once I receive the item, but so far I’m impressed and pleased. I hope the quality is good and as they advertise. Their service so far has been very nice. Hi Jennifer! did you ever received your bag? How long did it take and how is the quality of the bag? Hi Rada. How long did it take you to receive your order from PurseValley? Thank you for this site. I can see that many of these comments go years back. I was wondering whether or not you still find Pursevalley a trustworthy site? As many of the other users I am afraid that they will “steal” my money. I am looking to buy a Gucci Disco Soho Bag 🙂 Have you bought this one? Hi Hannah, i got another question to ask you. There is : pursesvalley.cn and pursevalley.cn which one do you purchased from? Because the screenshot you posted is pursesvalley.cn but the link you gave is pursevalley.cn. please advise thank you. Hi Hannah, love your site. Can you give your opinion on this site I found please. Really appreciate your time thank you and looking forward to your reply. Hey Destsy, Here is my review of this site. Hello Hanna, thank you so much for this site and all valuable information. I would like a excellent copy stella mc cartney falabella foldover. I have seen different sites: handbag-replica.co, ioffer, bagaholics, perfecthermes. I’m lost, I do not know which to choose for the best quality? I also wish a speedy LV azur size 35 with the wallet. bagaholics.com proposed also LV and stella mc cartney. Pursevalley not proposing Stella mc cartney. can you help me on my choice of site? Hey Julie, Buying replica bags online can be tricky if you don’t know where to start. The best thing you can do is invest some time into researching those websites. Unfortunately, I am not familiar with all of them, but I know what you should do to make sure you order from the best one. Start by searching for customer comments about these sites on forums, blogs and other similar pages. Of course, none of them will have only positive reviews, but it will give you a pretty good idea about how serious and reputable the company is. Then, make sure that on the website for every single one of its products it uses only its own studio photos. There shouldn’t be any differences in the background, quality and lightning of the pictures. Also, all trustworthy online stores offer a wide range of payment methods and these usually are credit card( Visa, Mastercard, JCB, Maestro), Western Union, Money Gram and Bank Wire. Beware of websites that take only credit card payments. Make sure that the company has a fair refund, exchange and repairs policy, and that it offers friendly and easy to reach customer services. You should contact its agents and test how responsive and professional they are. As long as you pay attention at all the above advices you won’t have any problems in ordering a replica bag from a reputable store. Hannah thank you for this long answer. I wanted to place orders with purse valley, the site you recommend elsewhere. for a speedy 35 + wallet + key charm. the problem is the excessive shipping price! more than 107 euros + 3 euros insurance. I sent an email saying that the sending price is too expensive compared to all sites abroad where I ordered. They tell me to pay by bitcoin moneytransfer or western union or for having 20% ​​discount. But here I am in France, I have no guarantee in case of loss of the package or else! and especially I’ve never bought via these means of payment. I always paid via paypal first because if the package lost or not arrive, paypal refund. Sometimes I pay by Visa card, but only in France or Europe. In China, however many sellers accept paypal and I find that reassuring. why you say to watch out for sellers offering that payment by Visa card? I want to know how to order my bag? And how you delivery to Kuwait? Hey Malak, You should ask this at the store contact. Each store has different shipping policy. Just made my first purchase through purse valley. 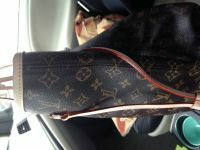 I ordered Lv Alexander taiga brief case and the Lv Metis bag and charm. My order was placed on 11-9-2015 and I used an echeck to purchase. I received a call from PV on 11-11-2015 they wanted me to email a picture of a voided check or fax it. I emailed it to them and they said once it cleared I’d get an email with the name that would show up on my bank account. I received that email on 11/20 saying my check cleared and my pkg was shipped. I received it on 11/24/2015. Everything was well packaged. Both bags are gorgeous and extremely well made. I’m very happy with my purchase. I’ll definitely order more. Also I found if you put things in your cart and wait a few days they send you a 5% off coupon. I’m thinking about buying a neverfull GM from designer discreet and it’s a little on the pricy side. Has anyone had any experience with them? Has anyone used designer descret? Is their stuff any good? Hey Candice, I can tell you from my personal experience that pursevalley won’t steal your money. I bought several bags from them and the only problem I did encounter was bad stitches on the inside of one purse. Their customer service people were very helpful and solved this issue without any hassle. 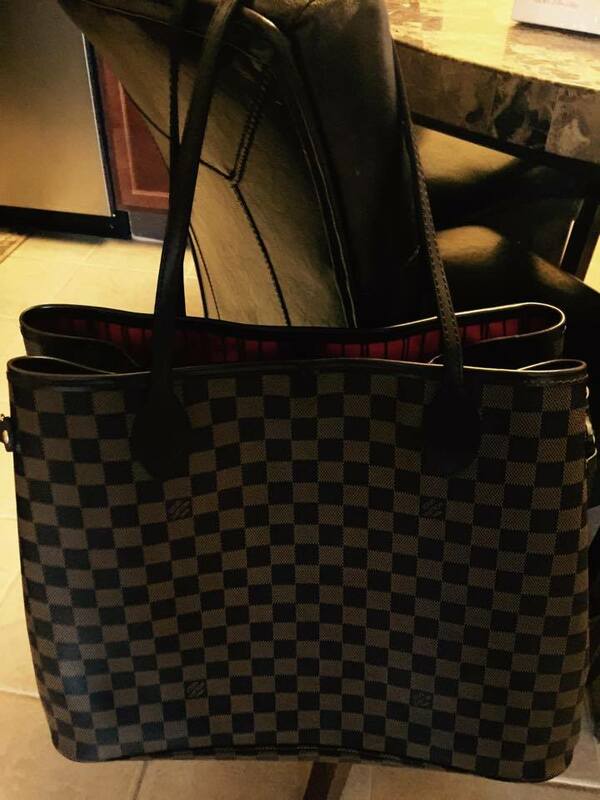 I really want to purchase the LV MM Artsy bag from PV. How difficult is the echeck checkout? Is it safe? Hey Donna, I paid with credit card and later with western union for my orders from PV. I’m looking to buy the Gucci Medium Woven Tassels black leather hobo from Pursevalley and wondered if you or anyone has purchased this bag? My concern is that the photos on their website show the replica to be a ‘perfect’ replica so much so I’m not so sure it’s the actual bag. Like most I’m a little nervous handing over so much money because I’m not convinced about the site. Thanks for your advises and your answers!! I’m deeply in love with yves saint laurent’s bags, most particulary the Sac de jour and the Chyc. Do you know any website that will provide a good quality? I’m not usually very demanding on replica’s quality (i already have balenciaga, celine… Which aren’t that perfect) but yves saint laurent… Oh dear! I do love this brand so much and i’m scared to receive a really different bag. Thanks for helping me if you can! They are reliable stores and do offer this purse. i liked your posts, thank you for the informations . Hey Nada, I can’t find store, but recently I reviewed Bagaholicsonlinebags.com, which is a very good store and I hope you find your bag there. So yeah, I just got my order from PV and to be honest i wasn´t expecting it to arrive haha. I get skeptical when its like too good to be true, but I ordered the wallet, LV 6 bills because it is something I need and I thought if there would be any problems, I wouldnt be losing sooo much money compared to other items. But they shipped it on the 14th and it arrived today, 3 days is not a long waiting time. And I like the wallet, its really nice quality, looks nice, definitely turning heads already because i like to walk around with it in my hand hahaha 😀 and now Im going to order the backpack, and then maybe a belt. So i will keep you posted. Hi there…how did you pay? I am waiting on my confirmation bc I opted to pay moneygram bc of the 20% discount, but I am skeptical of paying with moneygram bc if anything happens and I lay with credit card, I can always get my money back. Hi Mike. I paid with Western Union and it took 4 business days before the money got cleared. I received the tracking # the next day and now I’m waiting for it to arrive. Hopefully! I placed my order on the 30th and I am still waiting. I am looking to buy a bag for my wife as a gift and need your assistance with it. She travels for work and needs a bag that can hold a 14″ laptop. Any recommendations on which bags to look at ? Hey Umang, Let me get this straight. Do you want a bag especially made for laptop, or just nice bag that 14′ laptop can fit in along other stuff? I am looking for a nice bag that will fit a 14″ laptop and some other stuff along with it. Hey Umang, Gucci Bamboo Shopper will do the job. Hello Hannah, what do you think of this website? Hey Lena, This site looks awesome! I like their pictures a lot. If you decide to buy from them, please post your opinion here. I tried to make a purchase. But my payment didn’t go through via credit card. Instead they sent me an email with a url that redirected me to their replica watch site, to complete the payment. They tried to reassure me that it’s safe, it’s just that they haven’t fully set up the card payment on the other website. I didn’t like that at all so I decided not to go through with it. The second one even have real live chat! or you may suggest other good sites. please note that I did try purse valley but their shipping prices are very high when it comes to my country (Saudi Arabia) and as I am about to open a small store which will sell bags by order (one bag ordered at a time) the shipping fees will take all of my profit. 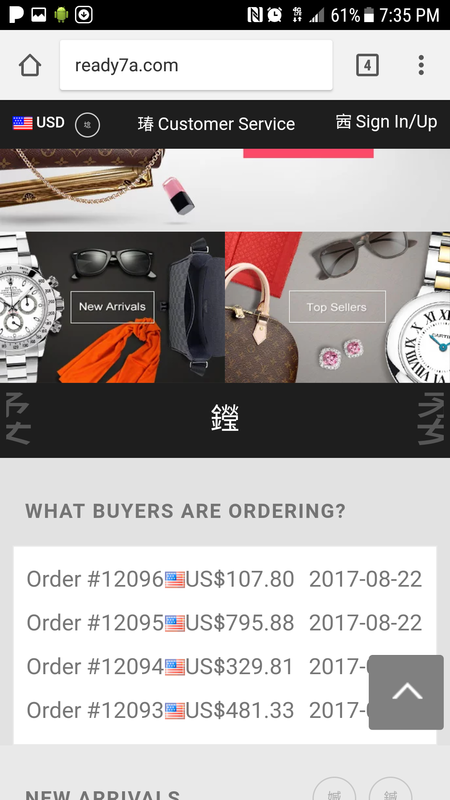 Hey MKJ, I like buyreplicabag.co more than gettophandbags.com. The latter has more detailed pictures of handbags, but they look like they come from different sources, so I’m not sure if all the pictures are theirs. Please share your experience if you buy from one of these stores. Thank you hannah for getting back to me. Its good know how 1to1replica is sketch in their customer service contact info. Although you have had a good experience with purse valley with their customer service, Why there are other sites & reviewers when doing a simple google search who dont speak soo highly of purse valley ONLY you & Eva knox. May you please explain why is that so? Unless you could give me a legitimate & logical reasoning as to why I should trust purse valley to ensure my satisfaction I remain hesitant to make a purchase. Please provide me with REAL pics of the best purses you bought from purse valley to reinstill my confidence in the quality. More importantly, if for any reason i do notice a flaw in my piece or damage as you may have could uou help give me suggestions/assist me on what to say to the customer service in order to grant me an exchange without shipping cost?!? If you ever had to pay for return shipping for a faulty or flawed item how much did it cost for you?? I live in nor california. Is there a way to get around the return shipping cost? 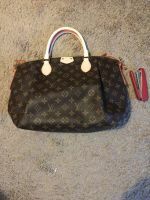 Last but not least, what other trustworthy quality replica site can I find the TOTE MM Monogram Exotic (N90311) & the olympe cause purse valley doesnt carry neither. :/ they also no longer carry channel items which is disappointing cause they looked more impressive than their LV when I last checked a few yrs ago. Please address all my questions in your response. Hey Omeed, I can’t prove beyond a reasonable doubt that any site is best or worst. I paid shipping cost for flawed handbag. It was around $50. Not sure if there is a way around it. I have been a long time follower & reader of Eva Knox’s reviews/stories on Spot Bags.cn. I never personally bought a replica handbag but checked out pursevalley on countless occasions to see their selections/items images to check for authenticity/quality. I remember pursevalley also sold replica channel bags (even their rare/limited collection) as well as channel jewelry which looked authentic. However, you never know till you actually receive the item. Despite my countless research & observations of these sites I have always remained hesitant of making a purchase since I still paying a few hundred dollars for a replica bag which I don’t know was going to come out perfectly & LAST! I had my mother by a few replica handbags out of country & they were AWFUL since she was an uninformed buyer (She too payed hundreds). The result though were handbags that only lasted a month or so. The handles were of cheap plastic or puffy fake leather tubes which eventually ripped. I had fear of ending up with something of that sort again & I wanted to make sure I’m making an good buy & NOT just throwing my money away. Pictures can be deceiving! I was fairly confident in making a purchase after reading so much of her stuff until recently when I came across a site that claimed her reviews are scam & the images she posts of other sites products are not from that site at all. I JUST DON’T KNOW WHO TO TRUST NOW if people of posting fake reviews & pictures of other websites that aren’t their so that they may promote the distributer they’re working for but don’t admit to!?!? outside review sites when I do a simple google search of pursevalley. cn the reviews aren’t so sensational & positive. 2-3 star at most. Any help on this matter would be appreciated. I hope you can be sincere, honest, & genuine about this matter since countless people spend hours, time & money searching these sites & trying to find “proper/good quality” replica handbags. I personally don’t have hundreds to throw away to keep trying & hunting so I have often relied on these review sites to do my research but I feel they can’t be trusted. Can you shed some light on this matter?? I wanted to convince my mom & family no longer buy junk replica handbags from foreign countries because (1: they don’t know the details of the authentic version of the purse, 2: because the quality of the stitching & material is cheap (doesn’t last) despite the few hundred price tag which can be deceiving for the untrained eye. If you can help me find a site that sells either of these purses in authentic, genuine leather REAL quality, no hard/plastic feeling handles, accurate color tone matching, down to every detail I’d greatly appreciate it BECAUSE I do know there ARE replica handbag makers out their whom spend the time to create quality craftsmanship researching & looking at every detail on the authentic pics to make the BEST replica. They just don’t come around that easily. what do you think about 1to1replica.com?? Hey Omeed, 1to1replica.com features a decent collection of fake handbags. Their product images look great and return policy is good and pretty straightforward. I don’t like two things though: customer support email is hotmail.com address and their exchange policy states their site name is ioffershoes.com (instead of 1to1replica.com). Best case scenario is that they have several sites and just copied the terms from one to another. Worst case – they just copied all the text from competition. You are absolutely right to be worried about quality. Of course there are good and bad knockoffs, however I prefer to judge a site according to its policies, product pics and customer service support. I’m sure that online store owner that sells low quality handbags doesn’t want to offer good exchange/refund policy. His goal is to make a quick sell, get your money and move to another customer or to another domain. Also for this kind of retailer there is no point to invest in good customer support because if his merchandise is bad – most of the customers will return his products. It’s all coming together when you look at replica stores from this perspective. 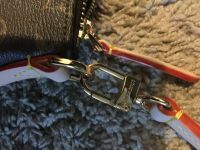 I’ve purchased several handbags from pursevalley and most of them where great replicas (mind you, there were not perfect copies as such things don’t exist), but some bags had visible flaws. It was easy for me to exchange those bags for another items. So I’ve tested their exchange policy first hand and it works. Hi everyone, I am getting a little nervous. 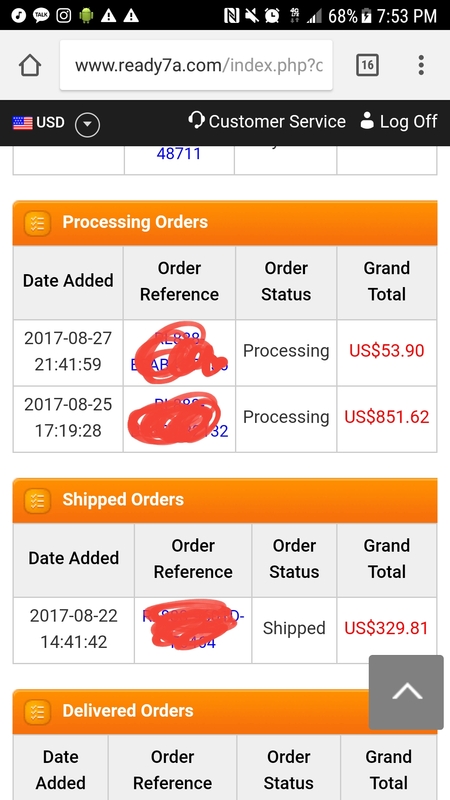 I ordered a bag from pursevalley on July 10th. I paid for it right away via Western Union and the payment was received. It is now July 16th, and after talking VIA chat on the pursevalley site multiple times, I am not getting a straight answer as to when my bag is going to ship and I don’t understand why??? Did you ever receive your bag from Purse Valley? I want to place an order but haven’t worked up the nerve yet, fearful I might lose my money in a scam. It’s so hard to find he “legit” replica sights. My wife is crazy about Lockit by LV but it’s way too expensive!!!!! Do you know where I can find a good quality premium version of this bag? I just can’t find it in anywhere…. Hey Antonio, You can buy it from here. I just placed an order with purse valley. Crossing my fingers for a smooth experience. Will post updates. I am planning to buy knock off jewelries from Pursevalley.cn, just wanna get your valuable insite before I purchase please. Thanks a lot! Hey Aina, I’ve bought only handbags from them, so I can’t say how good their jewelries are. The site is trustworthy and customer service is very helpful. I’m looking to buy my first ever replica bag and really want a Celine Phantom. I’ve done as much research as possible and keep coming back to Pursevalley.cn as being the best website. Can you recommend any? I’m in the UK so can only pay by MasterCard or Visa debit so really skeptical about handing my card details as keep reading about people’s horror stories. Your advise would be appreciated. Hey Nicole, pursevalley.cn is indeed is a site with good knockoffs. Hey Marine, please tell me what do you mean by “it does not place anything on the bill this is louis vuitton empty”. Hi Hannah, thanks for your great informative site. I am after a white /off white big bag but unfortunately the ones I like from Purse Valley are all sold out for the time being. Hey Daisymomo, It’s a fabulous site. Just make sure you pay with paypal instead of western union. I would like to introduce our website. dreambagscity.com. We just getting started so we would like to have your attention. Sorry for posting here in this comments section but Im not sure how to reach webmaster. Hope you will enjoy our website. We will welome any comments and suggestions. Thanks. Please give me advice to another good site for LV bags -Maybe 1 neverfull MM and 1 other Damier Azur color. Hey Mona, try aaahandbag.se. It’s very good site as well. Hey Marine, ten days is too long indeed. I usually got tracking number for parcel from pursevalley in ~ 5 days. I still think it’s the best site out there. 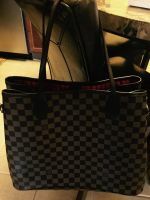 I live in Italy and desire to buy Neverfull MM LV or similar model and have read carefully your blog ! 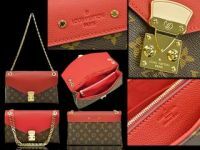 Hannah, I cant open pursevalley, it opens purseSvalley,,,please help with advise for purchasing my first LV !! I have mixed experiences with replica websites. 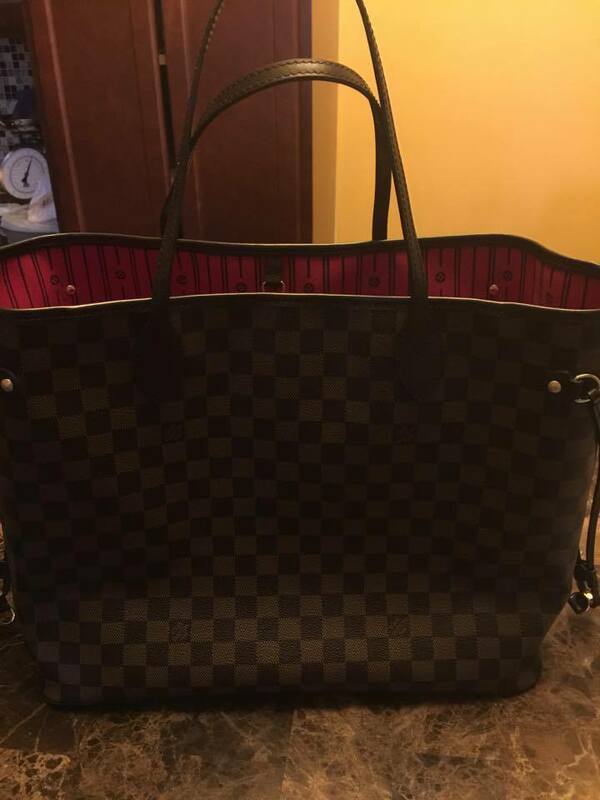 I’ve purchased several replicas from High Replica website and they were a total disaster except for one LV, Damier Azur GM. The Prada Safiano and Hermes Birkin were absolutely terrible. 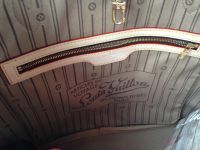 The leather on the Hermes bag was wrinkled, the stamping is hardly visible, and it looks so fake I wouldn’t even wear it. The Prada came apart after a few months. The stitching on the handles came undone, and the piping around the edges started pilling after a few weeks. I am so disappointed with High Replica. I do have pictures of both bags that I can share. Now, I would like to purchase a LV in Pallas (Cerise). Can someone please recommend a place and confirm if Purse Valley is the place to buy it from? Thanks Corina for sharing your experience, very instructive, good luck with your future purchase. Just placed an order for a Keepall 55. I will post when I get more information! Hi Your suggested site does not have the lv transparence lockit in stock. What about these sites?Are they trustworthy? Thanx I will not purchase until I hear from you. I just do not want to get ripped off! Hey Yvonne, Their handbags look really great and exchange/refund conditions are quite good, but I found the exact same text as on their Shipping & Returns page, on many other sites. Not sure if these are their “sister” sites or these merchants copy-paste return conditions from one another 🙂 The only bad thing I found on dobesthb.com is that they accept only “not refundable” payments like western union, moneygram & bank transfer. Hi, i hv made a purchased from chicc.ch. Its been 1 month but never heard from them. The site was shut down and they never reply my email. Anyone bought from them before? I paid via Western Union on Sunday 3/15 and have received by shipping notification and tracking info this afternoon. Received my bag today and am very pleased. Will be purchasing from Purse Valley again for sure. Planning to buy several next time for additional discount. I just ordered a LV bag today from pursevalley and I will keep you all updated in how my experience goes. Funny enough, when I went to WU to make the cash transfer, the payment information was already entered into my local WU office. Meaning in my small-ish (but albeit college) town, someone else is ordering from pursevalley! Lol. Be back to update soon hopefully. Has anyone made a purchase lately, would like to order an LV from pursevalley. But haven’t seen an update in a while. Same, the weird thing about purse valley is that there are a lot of people that either hate or love their purchases. Some say its a scam even, i really want the LV neverfull mm but i don’t fancy being scammed and out of £107. Hi ladies, other than Purse Valley, all the sites just mentioned above are down now. Purse Valley online presence is impeccable, however I’m feeling nervous buying from them in case they get shut down too and I get caught in the middle of the transaction. Then, no bag, no money back, no one to chase.. I placed an order with Purse Valley on 12/30/14 and received it 1/14/15. The product is as close to perfect as I could imagine from a replica but their customer service is a total scam! About an hour after I placed my order (6 days before I got a payment confirmation email) to change from a larger bag to a smaller one of the same style. After comparing their description of the one I found on LV’s official website, I realized theirs was inaccurate. After speaking to a “support’ on the phone, I was assured that the change would be made. As I suspected, it was not. I also had 2 conversations via live chat and 3 via email (I got an auto reply from each email). Now they are offering me a discount of 20% off of my next purchase (they give everyone 10% already) or I can return the bag and pay shipping. I am at a total loss here! If I pay for shipping and send it back, the process could take weeks and there is no guarantee I will receive the new bag or a refund. This site is a total crap shoot! If your ordering process is flawless, you’re getting a beautiful product, if not, you are totally screwed! 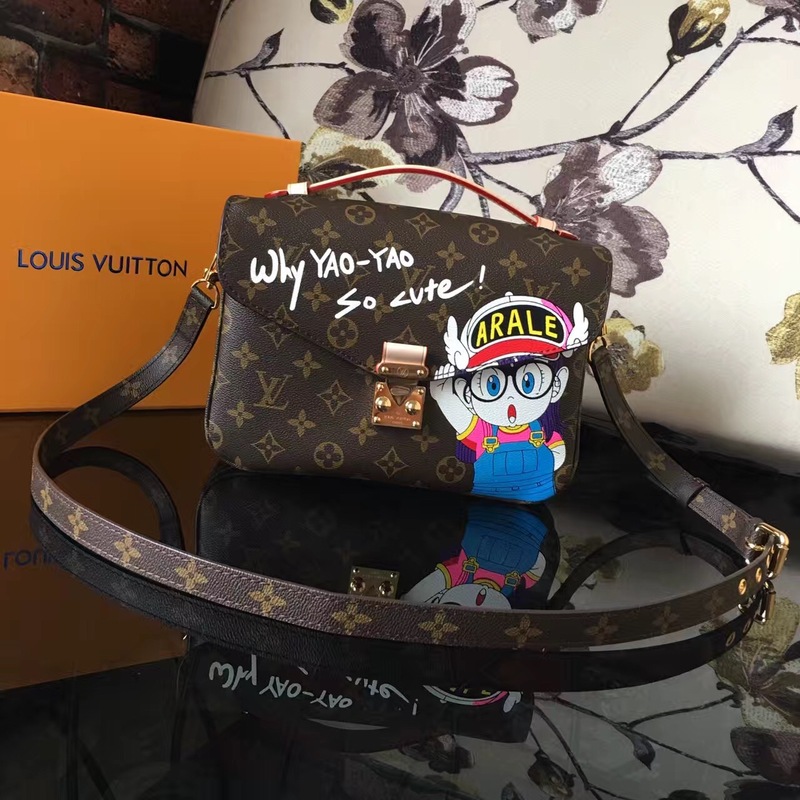 With all of this in mind, can you recommend another LV site. I tried a previous recommendation but the site was no longer live. As always, your opinion is highly respected! I will buy a couple of bags in March and let you know how it goes. Please give me the names of the replica stores that are good. I had been using pursevalley.com but they seem to have been closed. Please give me the names of the best websites. Thank you in advance for your help. do you know, is there any connection between ex- pursevalley.cn website and the current pursevalleyvip.cn or pursevalley.ru sites? Do you think it is safe to buy from any of those? Thanks! Hey Lola, I can’t tell for sure, but in my opinion those sites have different owners. I recently bought a Celine bag from repsunited.com, and I plan to buy a LV bag for my friend. You can take a look at their LV bags, also they offer chat and phone support. Hi Hannah! Approximately how many bags have you ordered from this site? If you don’t mind me asking :). Hey Cara, until now 3 or 4 bags. Hi Hannah! Your site is amazing!!! 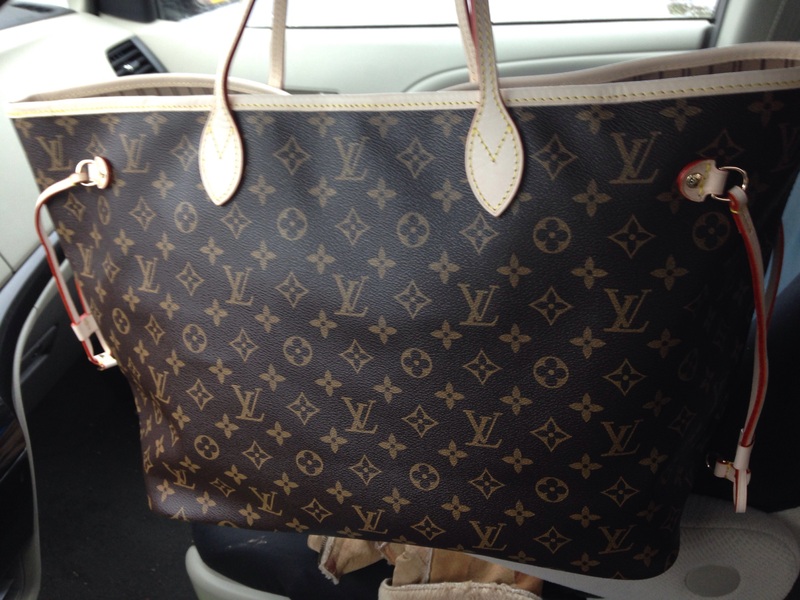 Purse Valley sells an outstanding quality product but they do not carry the LV bag I would like to purchase. Do you have a suggestion for another site? I thought I saw a previous post where you included a link where you order your personal bags but can’t find it now. Hey Danielle, this site is my second favorite! Thanks Hannah! Looks like they’ve already been shut down. I’ll check back and try more recommendations as you post them. Hey Angel, Sorry, but I never bought Chanel imitation purse, so unfortunately I can’t help you with this. Hi I have made a purchase from pursevalley, so far everything is going smoothly and the bag is in transit. Can anyone confirm if there date codes on the bags are like the originals? Hello, Please do we have anybody here that might have order for wrist watch or male shoes please I need a feed back if can still go on with my order…. Hi ty, Many fake bags stores get closed from time to time. Usually they just open another online store on similar domain. I’ve been trying to get to pursevalley’s site and it doesn’t seem to be working did it get shut down or change domain names again or something? Please let me no asap as it is almost my bday! Also is the site replicavalley still active and is it a good site? Thanks Hanna! Hey Amy, I can access pursevalley site without any problem. Hey Hannah love this site and thank you for all the info you post. However I was wondering if you know anything about or ever ordered anything from bestlvonline b4. Hey NaNa, Sorry, I haven’t purchased anything from bestlvonline b4. I would like GST in beige or dark blue but would i get the true GST colour in replica? Should get lambskin or caviar? Which looks better and has better life? And hannah, what do you thunk of thier site? Safe to order? Hey Emma, I never ordered from this retailer, but it looks trustworthy. Have someone bought Hermes Lindy bag or any bags recently from pursevalley.cn or designer discreet recently? Any feedback? Do you get your items? I would like to order this but I want to make sure that they will send the item as the cost is more than $400USD. I made the payment on last Friday and was told it’ll be shipped out by Monday, today is Thursday and I’m still to receive a shipment notification. I’ve been calling them daily and the customer service agents tell me that they can’t help me as they are not getting any updates from China! HI Priya, please keep us updated about pursevalley!!! hope you’ll get it! i also want to order lv neverfull from them. Very well spotted in bestlvonline photos. I’ve ordered the Mahina Selene in Black from them and have paid by credit card. If it’s of a poor quality I will send it back and get a refund. But your Trevi post enticed me to place a huge order with PV. I’ve also bought a Trevi, a wallet and a bag charm. They also have Club Couture, where if you sign up you’ll get a monogrammed zippy wallet free if your order is over USD 200. Would you know anything about this site? They are also slightly cheaper than pursevalley.cn. Please let me know how good their bags are. Do you know is shoppingdiy.es is a good site?? Hey Lalik, I never saw this site. It is a bit strange. Have you seen their order process? You must download an excel document from them, fill it with item numbers/specifications and send to their email… then you’ll get total price and payment information. For sure they don’t accept credit card payments, otherwise this would be implemented through their site. Probably they ask western union or bank payment, which you can’t get back if the products won’t arrive or will be faulty. Hey Candice, that’s really strange. For some of my orders I paid with my Visa card and there weren’t any issues. 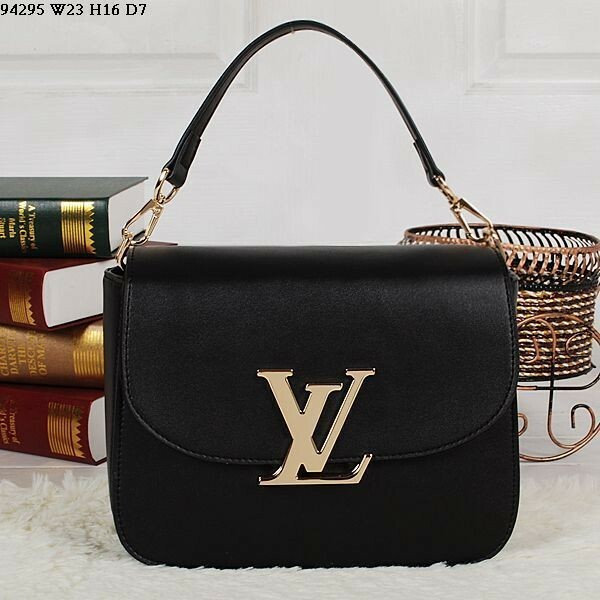 Hi, Hannah I would like to know if 2014voguebags.com is a good site and if it is true that they are 1:1 quality. I need help! Hey Maximiliana, I didn’t order from 2014voguebags.com yet. In general there is no such thing as 1:1 replica. Even the best fake bags I received have flaws. Images on 2014voguebags.com are watermarked with different domain name, so you should be careful. Otherwise, this site looks legit. I would like to know your opinion on this website refinedbags.com . I tried to look for reviews but I can’t find any. I am very interested to buy a Black Celine Phantom Bag. Could you tell me if this website is legit? Since refinedbags.com & 2014voguebags.com are identical (even the watermark on images) I guess they have same policies and owner. I agree! 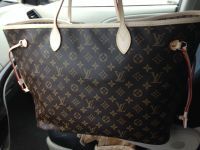 I bought the lv capuchine from PV. Horrible shape, no structure and very difficult to pull off as an authentic item. Urgh! Don’t know how all these people have reviewed it with 5 stars. Some people just have a better eye for replicas. I am looking into ordering the LV Flandrin from pursevalley but am afraid of what payment option to use. Which one did you use? And how was your experience with tracking & receiving the bag? Many Thanks!! Advice greatly appreciated. Once I had a colleague at the office that she bought every month a new LV bag and she convinced me to order from pursevalley ..and I do it !! Unfortunately first bag that I order… didn’t like it (was too small for all my stuff ) but they was so kind and they change it and offered me 10% discount for the next order. UPDATE: Received tracking # and my bag is on its way. My bag arrived. I am very, very pleased !!! I order from it befor 4 days and they ask me to send my credit card picture and I did because they just want to be sure that I am the card owner , the next day they call me to make sure of my identity and at the end of the call they submit the payment with me and I was on the phone. The third day they send me the tracking number. I want your openion in itbagforstore.com is it safe? 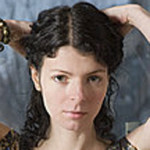 Hey Aisha, itbagforstore.com looks like a good site, with fair return policies and great images. The only downside is missing contact phone or chat. Hello Hannah,Thanks for your review,we have our whatsapp account on the website now,and i think our actual photos are much more better. I placed my first order on May 8, 2014. I made the payment using echeck. Because the order was over 500, they requested additional verification, which I promptly provided via phone. Shortly after that, they requested a copy of my voided check, which I provided. A week passes, and I receive an email from a company called The E Check. They wanted a copy of my driver’s license. Again, I emailed a copy. After a week of hearing nothing, I called Purse Valley for an update. I received a call back from the E Check company stating that they did not receive a copy of my driver’s license. So, I resend the image along with the original email to show that I did in fact send it as requested earlier. Later that evening, I received an email stating that my transaction was DENIED. I have more than enough funds in my account to cover the transaction and was very disappointed. So, I called Purse Valley. The customer service representative was very helpful and professional and suggested that I submit a wire transfer to China. So, I did and now I am still waiting for confirmation. I will keep you all posted. Hi there, a couple of things. firstly thank you making the site and sharing your experiences. I am just a tad hesitant to purchase from the site through credit union/money transfer because I don’t know if I am protected by my bank this way. Has everyones goods arrived? Also if I could be so bold you ask you check out a site named emmybag.com they sell chanel you see whereas the others don’t but I am unsure about it? Once again thank you and good luck. Hey Gertie, Thanks so much for your kind words 🙂 Indeed western union and bank transfer are not as secure as credit card payments. For my first order from a store I ALWAYS pay with my VISA debit card. For my next orders I pay with money transfer because usually they offer discount for this kind of payment. I like emmybag.com a lot. It has big picture and good return/refund policy. Do you pay with credit card in case the purse does not arrive and your credit card company will dispute the charge and give you a credit. I ordered from bagsheaven.cn and since ordering I have read negative reviews. Has anyone gotten their bags from this site? If so, how is the quality? I hope my order arrives or I will have to contact my credit card company and look elsewhere. Can you recommend the best site for a LV Neverfull. I have been reading the comments on this site, I sent $210 on 26th August for a bag, got an email back saying they received the money, but now they are saying that they have not received the money, and they gave a different confirmation number to the one that they originally sent me. I feel sick that I may have lost the money and the bag. Found a site e8baagss.com by a competitor blogger. Hi Tiger, here is a picture of one of the bags. WHAT IS THE STYLE NAME OS THIS BAG? Did you ever order from them? As I heard the factory was closed down in 2013 in China? Are you sure they still exist? and why do they want a pic of my card? Hi David, it sounds strange since they never asked me for any picture. I always used western union payment to get extra discount. Can you post the pictures of the bags you brought? Hi, I went to pursevalley as per your recommendation. 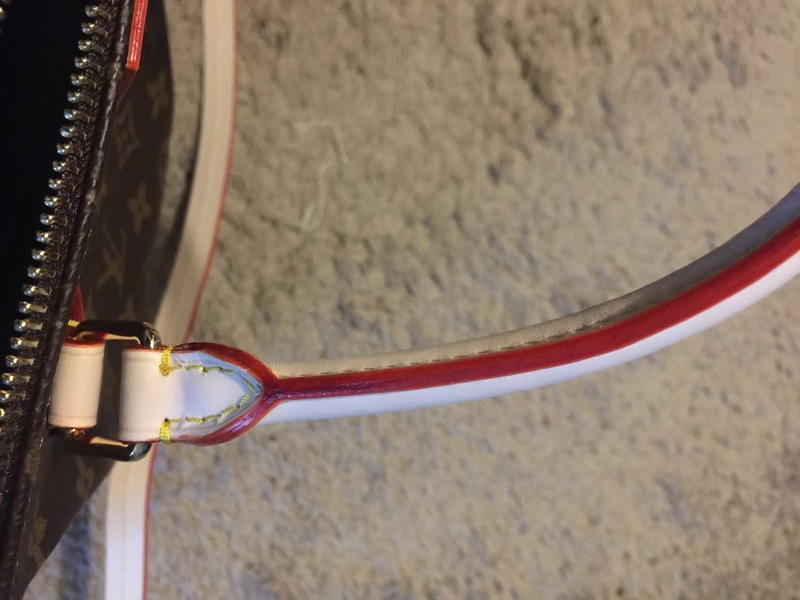 Was looking at the LV Capuccine. They have in 2 colors. Black and Purple. The Pursevalley black does not have a lining color, compared to the authetic one. And the authentic one does Not have purple color in the first place. I had a awful experience with this site. I paid for my bag last week and heard nothing from the company after my payment! ive tried to email and call them endlessly with no response! Did the site name change? I found a pursevalley.ru . Is this the same one you ordered from? DID THEY EVER CALL YOU BACK AND IF SO WHAT WAS THE RESULTS? The company seems to take a while. I first placed my order on October 6th. I had heard from them about needing a copy of my credit card statement to verify the address and last 4 of the account number. I blacked out all of the other information and sent it to them. Then the purchase was declined because my cc company needed to verify that it was a purchase I made. I then received an email on October 14th that I would receive a tracking number in 3 days. I am in the process of waiting for my handbags. The company has been nothing but helpful( I spoke to them twice), it’s just one of those things that you MUST realize will take a while. Replica handbags are a black market business, so it’s not like you are going to get your stuff within a weeks time! These sites have to dodge shutdown on a weekly basis. Nutshell: so far my experience has been positive and I will update everyone with the progress. I just received my order tracking number. I will let everyone know when I get my bags and what I think of them. Today I checked the tracking number and it says “In transit”. So I received my tracking number on October 16th and received both of my bags on October 21st. I think that is incredibly fast considering it came from China. The bags are GORGEOUS!! 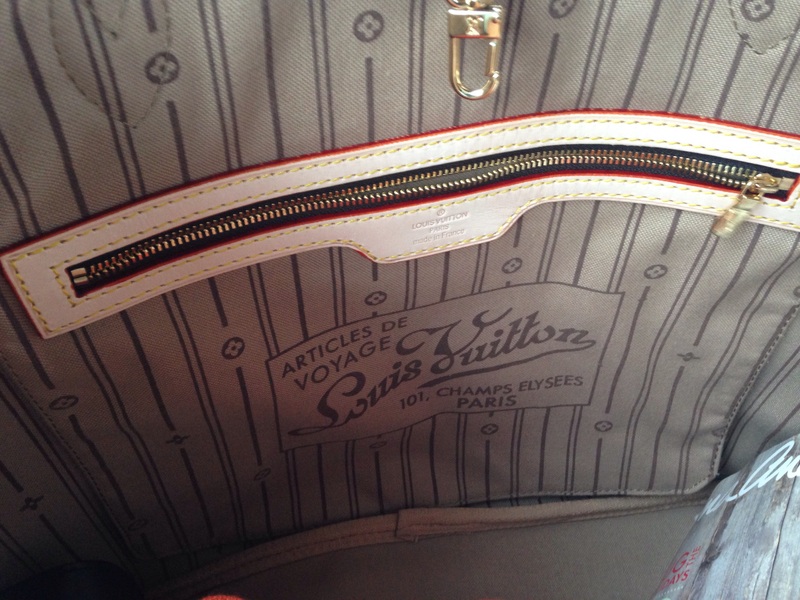 I bought an LV Neverfull in the GM, and an Alma PM in Vernis. I’ve checked these bags extensively, and the quality as well as reproduction is top notch. I will be buying from Purse Valley again without hesitation!! I will post pics of the “Neverfull”. Are you still happy with your bag? did the straps every turn like the real one’s do? My friend ordered from pursevalley recently, i saw the lv monogram neverfull she got. it is just ok. i ordered the same one from poshmoda, and it was great. that’s what we always do, we order the most popular bag from more than one site, and compare. that’s the best indication of their overall quality. Jessie I have a question when you go to posh mods it just routes you to a site that gives you about 5 different other sites any suggestions on what site you ordered the other great bag from since posh mods does this? How did you pay? Was it wester union, or some other wire transfer. … that’s why I’m so hesitant. i had bad experience with purse valley too, at first it was ok when i bought a neverful mm, it was nice, good quality like authentic, i made a second order but after i paid, i never heard anything from them then after 2 weeks, she said, sorry for the delay and it will be shipped but until now i havent received the bag. Have you received you bag yet? If so how long did it take? Did you ever get your bags?